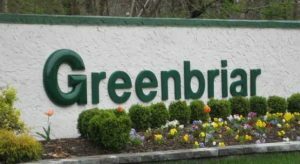 Find your new home in Greenbriar 1 , an active adult community in Brick NJ. Brick, NJ Greenbriar 1 is a 55+, Active Adult Over 55 Community in Brick, NJ. It’s ideally located because it’s close to the Garden State Parkway, the Jersey Shore and all major shopping, There’s a homeowners association, therefore a monthly association fee will be assessed, The association fees are reasonable, additionally, the taxes are usually under $3000 per year. The fees cover lawn maintenance, snow removal and use of the common areas and clubhouse. As a result, you won’t need to cut grass or shovel snow. Furthermore, there is a one time buy in fee payable at closing by the new owner. In the 1970’s, 1400 homes were built in Greenbriar 1. These homes have either one or two bedrooms, and have 1, 1.5 or 2 baths. In addition, all homes have a 1 car garage. In addition, your pets are welcome at Greenbriar 1. Greenbriar 1 in Brick has a clubhouse, which is the social hub of the community. You’ll have access to a number of activities. This will allow you to socialize and keep fit. Available to you will be clubs, trips, socials and a monthly newsletter to keep you up to date. There’s an exercise area.for those who want to stay in shape. When the weather gets warm you can swim in the outdoor pool.. You can be as active or as in-active as you want. In addition, this community is only minutes to The Jersey Shore. Also, you can enjoy local activities such as fishing, boating, golf, shopping, dining and much much more. While Greenbriar 1 doesn’t have a golf course, there are many courses available in Ocean County. The Ocean County transit system, Ocean Ride, provides bus transportation throughout Ocean County. 12 bus routes connect key residential areas with popular destinations such as shopping, and other adult communities, in addition to social services. Furthermore, the Reserve-A-Ride Program provides door-to-door, non-emergency medical transportation service. This transports seniors (age 60 and over) to medical facilities in Ocean County. You’ll need to make advance reservations however, a fee will be charged.